I’m retired, have a good pension and no debt. I also have about $350,000 in an IRA account that I may never need, but the saver in me won’t allow me to spend. Any suggestions? And how should I invest my IRA money to earn a low-risk modest rate of return? Let’s start with what I consider the more challenging of the issues you’re grappling with: finding a way for you enjoy some of that IRA money you seem unable to spend. If it’s any consolation, you’re not the only person who suffers from “spendaphobia.” Okay, I confess I made up that term. But the phenomenon is real. Lots of retirees have a hard time making the transition from saving to spending. In a study examining spending in retirement published last year, Michael Finke of the American College of Financial Services and other researchers detailed “a retirement consumption gap” that showed many retirees were spending far less than they could afford based on the amount of money available to from Social Security, pensions and income from retirement accounts. Well, you can start by focusing less on spending per se and more on having a happier retirement. You don’t want to make spending feel like an obligation. After all, the point of saving during your career is to make for a more comfortable and rewarding retirement, not to create an unpleasant chore. So instead of obsessing about not spending enough, think instead of things you can do have a more enjoyable post-career life. One way to do that is to spend more on experiences rather than just acquiring more stuff. In a recent study titled “Cultivating Gratitude And Giving Through Experiential Consumption,” researchers from Cornell and the University of Chicago found that spending for the pleasure of doing (travel, entertainment, dinners out with family and friends) rather than for the sake of having (buying more clothing, electronic gadgets, jewelry) tends to foster more of a feeling of gratitude, an emotion that promotes a feeling of well-being and also prompts pro-social behavior. One reason “experiential consumption” leads to greater satisfaction is that once you’ve reached a certain level of material comfort, the additional enjoyment you gain from, say, outfitting yourself with a new wardrobe is typically fleeting, while the satisfaction from experiences tends to be more lasting. Indeed, the researchers suggest that spending on experiences might even lead to a “virtuous cycle,” with the good feelings engendered by experiences in the past leading to more spending on experiences in the future. So as a practical matter, you might be able to both spend more and feel better about your post-career life by coming up with a bucket list of new experiences—traveling to places here or abroad you’ve never visited before, studying another language, learning to play a musical instrument, taking up a new sport, publishing a book, whatever—and ticking them off one at a time throughout retirement. Another way you may be able to boost spending while also enjoying a more rewarding retirement is by helping others who are less fortunate than yourself. A 2015 Merrill Lynch report titled “Giving In Retirement: America’s Longevity Bonus” found that giving in some way, be it financially or volunteering, “is a key ingredient to a better retirement.” Specifically, seven in 10 of the retirees polled for the report said that generosity is an important source of happiness in their retirement years. What’s more, the survey found that retirees were three times more likely to say that helping people in need brings them greater happiness than spending money on themselves. If this method of parting with some of your IRA dough appeals to you, you can find thousands of vetted charities, cultural organizations and causes to donate to at the Charity Navigator site. If you want to give not only money but your time and skills, VolunteerMatch.org can steer you toward organizations seeking volunteers, while RetiredBrains maintains a list of volunteer opportunities geared specifically toward Boomers, seniors and retirees. By the way, once you’re 70 1/2 or older, you may be able to make a qualified charitable distribution (QDC) of up to $100,000 directly to a charity from your IRA. The advantage to going the QDC route rather than pulling the money from your IRA and then contributing it is that you’ll get to deduct the full amount of the contribution from taxable income, plus the amount you donate will count toward your required minimum withdrawal for the year. For details on how to get this tax break, see IRS Publication 590-B. Finally, there may be a way for you to simultaneously address your question about how to invest your IRA money while also spending more freely. One reason many retirees find it difficult to spend in retirement is that while they’re okay with spending income, whether it’s from a job or interest and dividends from investments, they have a hard time dipping into capital. A way to get around that hang-up is to use a portion of your savings to buy an immediate annuity, an investment that converts a lump sum of savings into lifetime monthly payments. 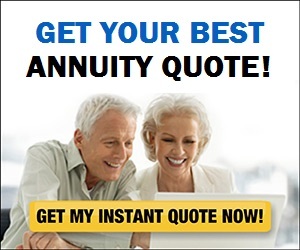 Go to this annuity payment calculator, and you’ll see that a 65-year-old man who invests $100,000 in an immediate annuity today would receive about $560 a month for life. 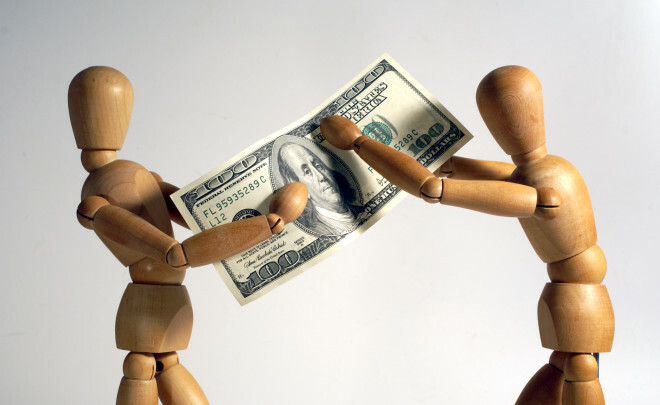 Since an annuity’s payments come in like clockwork month after month, sort of like a paycheck, you may be more apt to think of that money as income it’s okay to spend and less like savings that you have a too-strong desire to conserve. You can then invest the rest of your IRA money—or your entire IRA stash if you decide the annuity solution to spending more isn’t right for you—in a diversified mix of stocks, bonds and cash. Since you don’t seem to need your IRA money to fund retirement living expenses, my inclination would be to play it relatively safe in investing that money. After all, why take on extra risk if you don’t have to? So if I were in your position, I’d probably go with a fairly conservative portfolio, putting no more than, say, 50% of my assets in stocks. I’d also set aside a decent chunk in cash, not just to cover any unexpected expenses but also to have a ready source of funds for any extra spending I end up doing. That said, since you’re not relying on your IRA for current income, it’s not as if a market setback will put a dent in your standard of living. So you could also make a case for investing more aggressively. All in all, the best way to arrive at a mix of stocks, bonds and cash is to let your appetite for risk be your guide, which you can do by going to a risk tolerance-asset allocation questionnaire like the free version from Vanguard that will recommend a blend of assets based on, among other things, what size loss you feel you can handle without fleeing stocks.